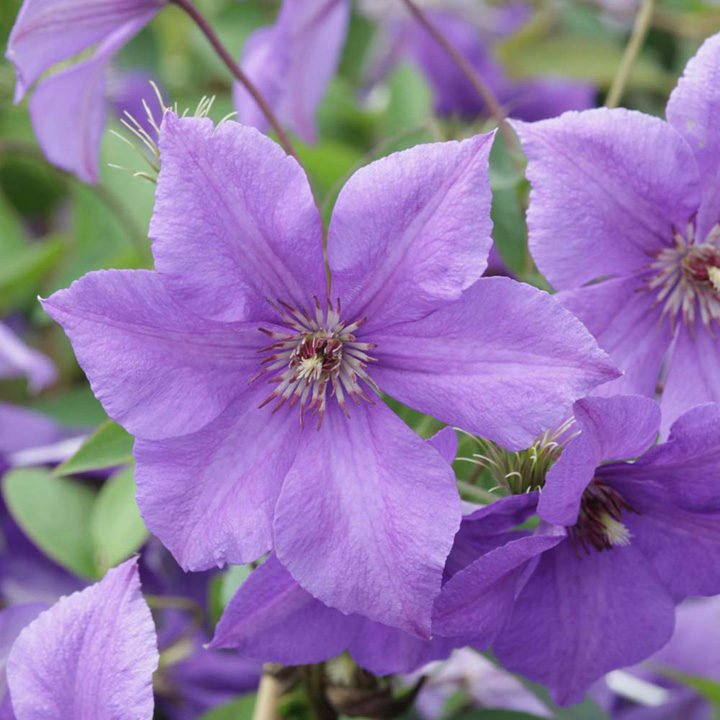 Clematis 'Semu', this vigorous Estonian cultivar with fair blue-violet flowers that is extremely hardy, resilient and exceptionally free-flowering. It belongs to pruning group 3 and pruning to almost ground level is recommended. Flowers July-September. Height 250-300cm. Supplied in a 3-4 litre pot.